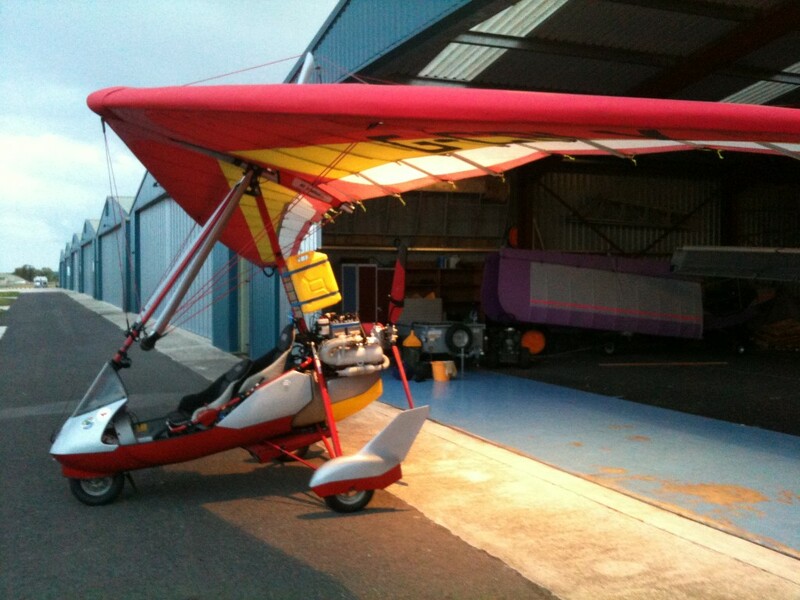 Ok, well today is the day microlight pilots from all over the UK hope to converge on Boston, Lincolnshire for the Fly-UK start points evening entertainment and preparation for starting proper on Saturday morning. Alas the weather is not good and I’m sure many like me are looking at forecasts and considering our options. It may be we change routes and head South and around Cornwall/Devon first rather than up to Scotland. Tough call, rough up there later in week but don’t want to get stuck up there if we go now. Watch this space, we may make a run for Sywell tonight if conditions at Kemble improve today. Things are complicated for us by the Cotswold airshow which is over this weekend at Kemble. If we dont depart we are stuck on the ground until after the show each night. Anyway, we’ll be away by Sunday/early Monday and doing some flying whichever way we head so watch the blog and the tracker and follow the fun. I spent a few hours yesterday preparing. I have 4 camera mounts fitted now, one on top my helmet, one on the undercarriage left side, one on the main upright overlooking us and the dash/forward view, one on the dash facing back at us. So, we should get some good HD video from my Drift Innovation camera. I also hooked it up to the trikes intercom/radio system so we can record our chatter and air traffic control too. Packing all the gear was interesting. We are very limited ! Basically for a week we have what we are wearing plus a couple of tshirts, 3 sets of undies and a top ! Sorry, no hair dryers allowed ! Around us in the trike body: Tent, 2 sleeping bags, trike covers, 1 sleeping mat, Elly clothes. In the pod: 10 litres oil (for mix in fuel as not easy to get en route), washgear/meds/my clothes, 1 sleeping mat. Finally I have strapped an empty gerry can to the upright, for fuel runs to a petrol station where an airfield has no fuel. Essential in the wilds of Scotland ! So, busy few hours, but we’re all ready..here is a shot of “Red Sparrow” last night.